THE WAVE is First Church children's ministry. Every week our WAVE Staff creates a safe and engaging environment for children ages 4-12. Lively music, engaging action songs, fun stories, and lots of laughs go into each and every service! CHECK IN: Your child is important to us. If this is your first visit, we need some personal information from you and a volunteer will assist you. This information is entered into our WAVE database to help maintain our secure check-in system. Every child must be checked in by a parent and picked up by a parent. SECURITY: We take the safety of your child very seriously! Every adult volunteer in our classrooms has a current background check on file. In addition, we have trained security officers and law enforcement on hand at each service. We use a security tag system for child check-in and pick-up. The claim check code you receive at check-in is unique to your family and provides extra security at pickup. 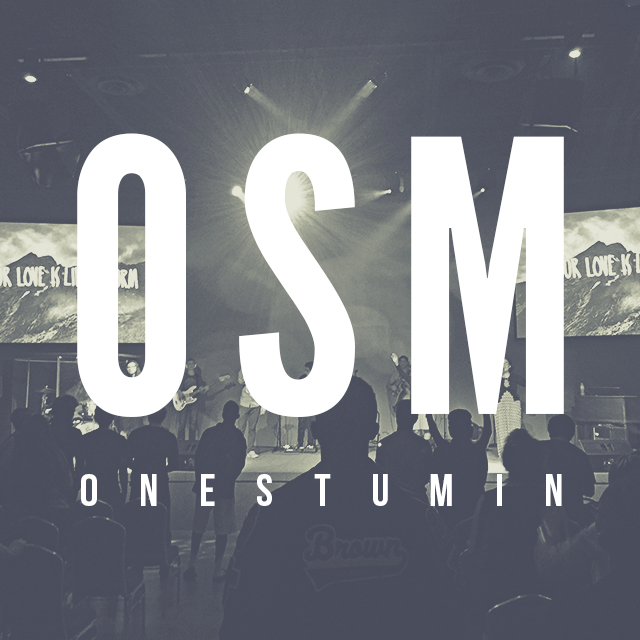 One Student Ministry is the student ministry of First Church. No matter who you are or where you come from, you are welcome in our family. Whether it's through student led small groups, worship services, or just having fun, we know that we are better together. Join us each week as we worship God and learn how to serve our church.